Among the most potent forms of cancer the world over, the breast cancer still remains a potent threat to women. Over the years, the number of breast cancer incidents in Canada has stabilized. Yet, it is the most common form of cancer that the population is diagnosed with. 26% of all women cancer patients suffer from breast cancer while 1 out of 30 women is likely to die from it. In 2016, around 25,700 women in Canada had breast cancer while only 230 males suffered from the disease. The drop in mortality rates and success of treatment are direct contributions of organizations involved in research and healthcare. It is due to their research that innovative and successful diagnosis and treatment procedures have been developed while the public has become more aware. 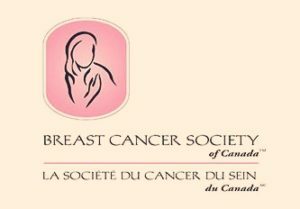 The Breast Cancer Society of Canada is a significant contributor investing in breast cancer research for close to three decades. Let’s explore its activities and contributions in the field of breast cancer. In 1991, Lawrence and Kay had to meet one of the most disastrous times of their life. They lost their 38- year-old daughter Pam who had been diagnosed with breast cancer. She had two loving kids who were all alone in the world only with their father to look after them. But instead of giving up, the two families made it a mission of their lives to fight the disease and do everything in their power to help prevent and treat it. As a result, the BCSC was established as a non-profit organization which devoted itself to breast cancer research. They try to raise money so that more research can be conducted in the field of breast cancer. The organization doesn’t receive any government funding and depends solely on the contribution of its donors. BCSC has the vision to bring an end to breast cancer and a mission to save lives by conducting breast cancer research. Activities of BCSC: what does it do? Breast cancer remains a concern the world over, and organizations like the BCSC helps to bring in awareness. The primary activity of BCSC is to improve diagnosis of breast cancer and come up with effective treatments. The Pan-Canadian Virtual Research Laboratory of BCSC gives people access to clinical trials where innovative treatments for breast cancer are carried out. One of the main priorities is to improve the patient outcome. New technology and advancement in the scientific and medical community have produced improved methods of breast cancer diagnosis and treatment. Using the funding from donors, BCSC engages in facilitating research and deliver measurable and practical solutions to patients in Canada. The organization specifically works on patient’s molecular testing so that they can be effectively screened for the disease. The agency is a strong force bringing disruption in breast cancer research delivering the results from the lab directly to the clinics; they are less concerned about its academic value.